Michael Hunt was found beaten on Saturday morning before dying a number of hours later. Irishman Michael Hunt who died following the attack. 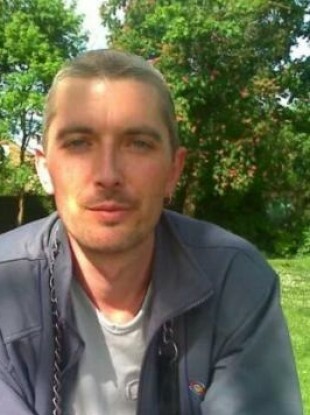 A MAN HAS been arrested on suspicion of the murder of 37-year-old Irishman Michael Hunt in London. The deceased was found in a skip seriously injured in the Norwood area of South London at about 7am Saturday morning. He was taken by ambulance to Kings College Hospital where he died shortly before midday. He had suffered injuries to the head and body with police saying that they were consistent with an assault. The 21-year-old held in connection with the murder was arrested this morning at a premises in Purley, about six miles from where the the Wexford native was found. Police say that their investigations are at an early stage but they believe that the attacker was known to Hunt. “Michael Hunt was well known in the local community and I would urge anyone with information, or who may have seen Mr Hunt in the time prior to him being found, to come forward and speak to police,” said detective chief inspector Diane Tudway. The information available to us at this stage leads us to believe that Mr Hunt was not the victim of a stranger or random attack. However, our enquiries continue. At this time our thoughts are with Michael’s friends and family, both here in London and in Ireland. A post-mortem examination on Hunt’s body commenced on Sunday and is due to conclude today when an inquest will open and adjourn at Croydon Coroner’s Court thereafter. Email “London police say Irishman dead in attack 'was not the victim of a stranger'”. Feedback on “London police say Irishman dead in attack 'was not the victim of a stranger'”.